Tasmania’s West Coast is famed for its high rainfall and rugged scenery, but there’s no reason not to visit the area in winter. Good roads service the area and major attractions operate year round. You are likely to find some great deals on cosy accommodation and activities, so there's no better time than winter to rug up and chill out on the West Coast. 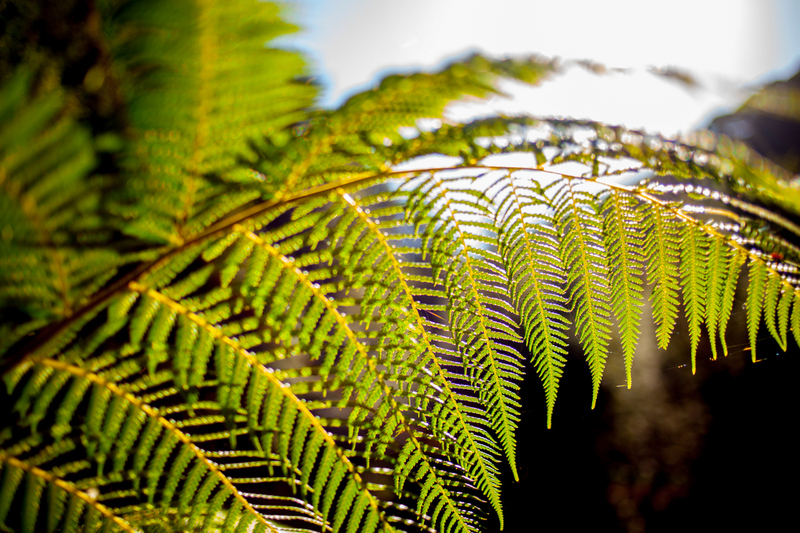 Throughout winter from 1 June - 15 September, we operate half-day tours departing at 10am departing from Strahan (River and Rainforest tour) or Queenstown (Rack and Gorge tour) on alternate days Monday-Saturday. All tours operate using our Wilderness Carriages, except during school holidays when our Heritage Carriage is also available. 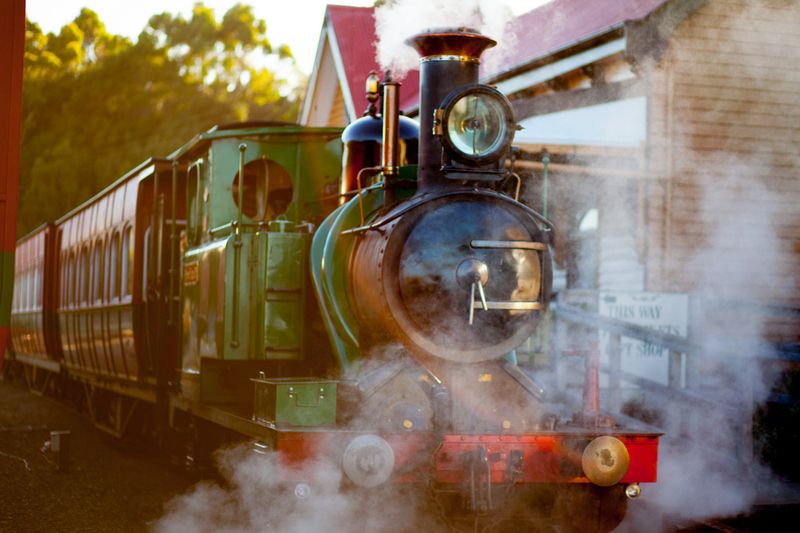 What better way to celebrate the season than to join us aboard the West Coast Wilderness Railway. 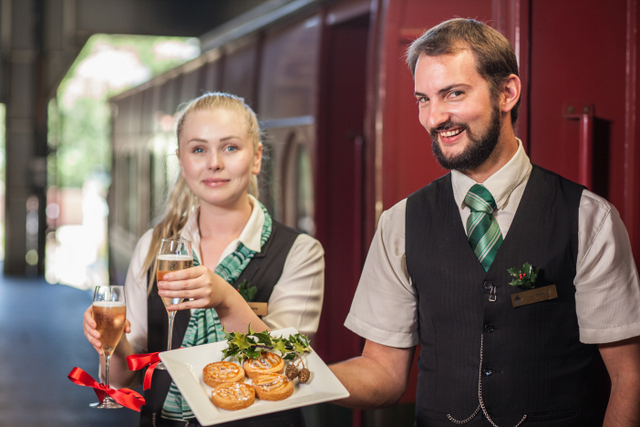 During July all our tours take on a festive flavour as we break out the mince pies, enjoy mulled wine and let the elves loose to decorate our carriages. Operating on all services throughout the month, our Christmas in July service features a four-hour steam train journey, departing at 10am and returning at 2pm. 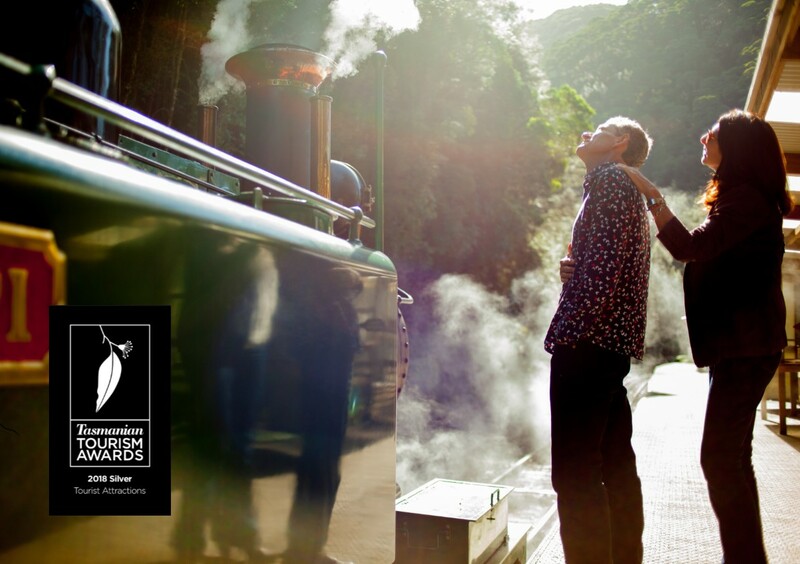 You will experience the fascinating history and dramatic wilderness scenery from the warmth and comfort of our festive Wilderness carriage with a balcony. Piping hot mulled wine, a festive themed morning tea, light lunch and continuous steaming hot tea and coffee throughout the journey is all included. Allow up to five hours to travel to and from the West Coast from Hobart or Launceston or around four hours from the North West Coast cities of Devonport.and Burnie. 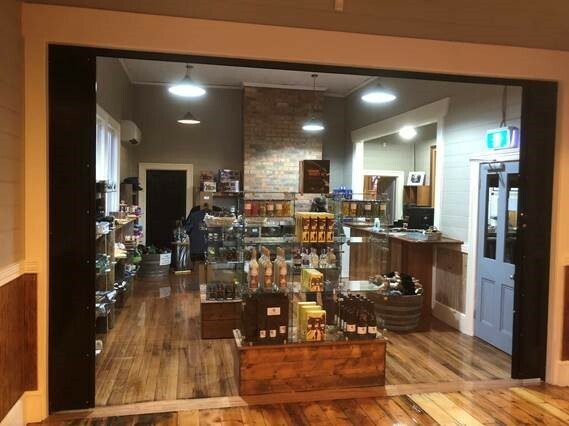 Check the details which days our tours operate (see timetable above) and use this to decide the daily order of activities, and whether you would be best to overnight in Strahan, Queenstown or one of the other townships of the West Coast. On your way to or from the West Coast, consider breaking your journey. From Hobart, pause at Tarraleah for coffee at Teez Café and visit the amazing Huon pine sculptures at The Wall in the Wilderness at Derwent Bridge. Weather permitting, consider a short walk, such as Lake St Clair, the Franklin River Nature Trail, Donaghys Lookout or Nelson Falls. 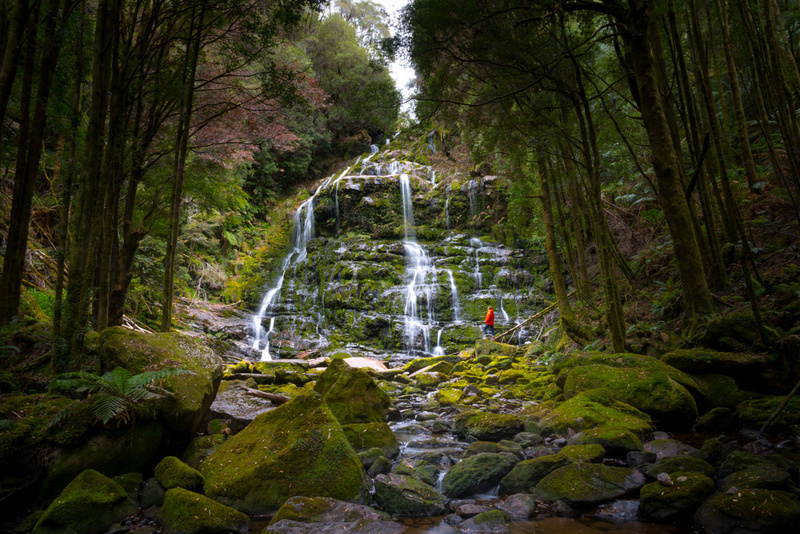 If approaching from the north, short walk options include Montezuma Falls near Rosebery or the Spray Tunnel Loop at Zeehan, or explore the West Coast Heritage Centre in Zeehan. 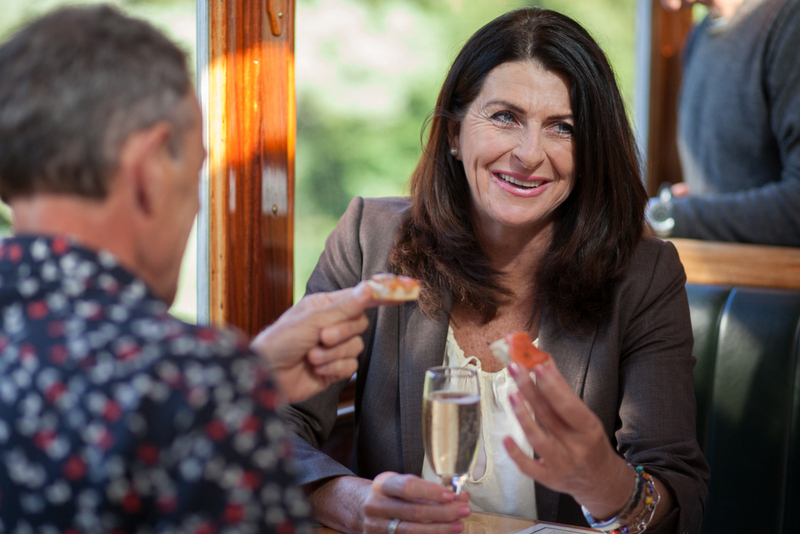 On Tuesday, Thursday and Saturday, the half day Rack and Gorge tour departs Queenstown Station at 10am, returning 2pm. 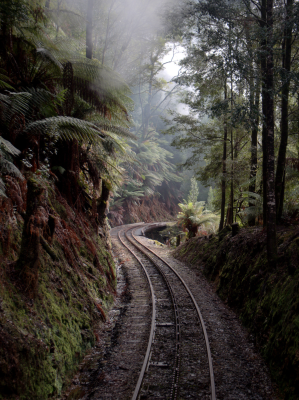 Travel in comfort over the Rinadeena Saddle and down the King River Gorge and deep into the rainforest to Dubbil Barril. Morning tea and a light lunch is included in this all Wilderness Carriage service. On Monday, Wednesday and Friday, the half day River and Rainforest tour departs Strahan’s Regatta Point Station at 10am, returning 2pm. 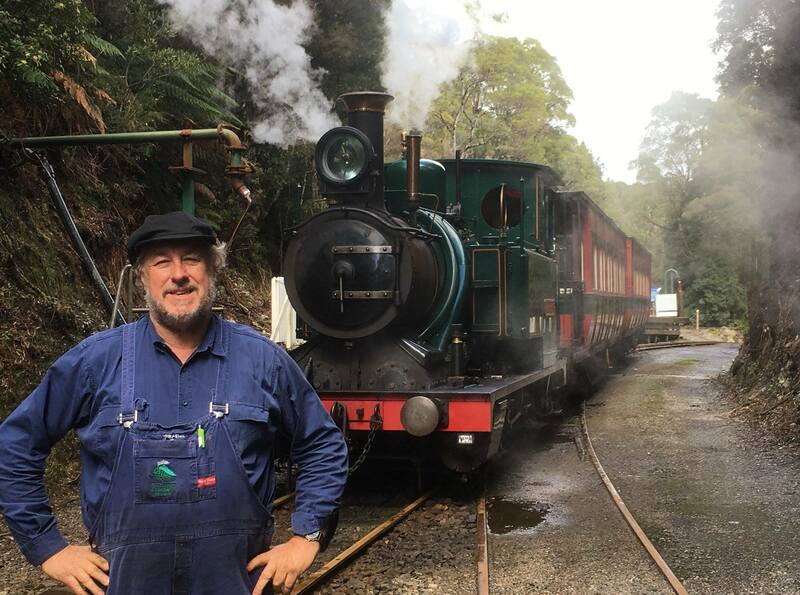 Travel along the shores of Macquarie Harbour, up the King River past historic sites, sample wild honey at Lower Landing and see the locomotive being turned for the return journey at Dubbil Barril. 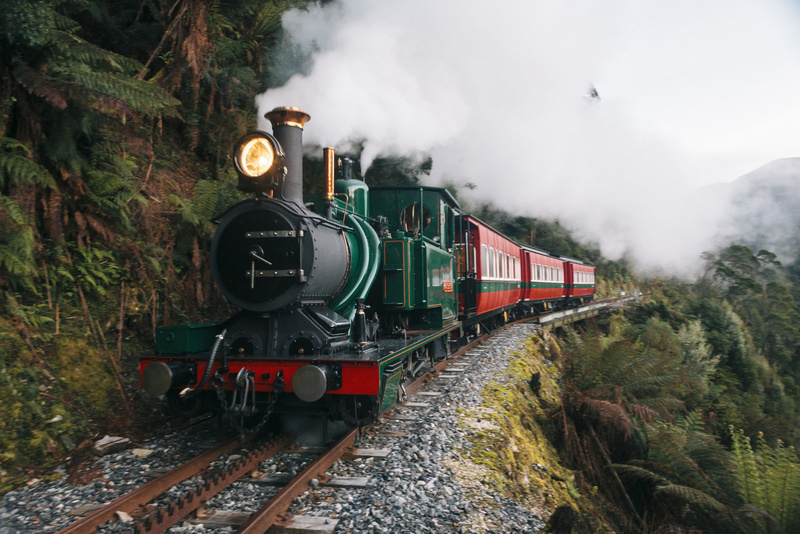 Please note that the West Coast Wilderness Railway does not operate on Sundays during winter, and there is no service on Monday 10 June (Queens Birthday Long Weekend). In the afternoon, consider allowing time for another adventure. 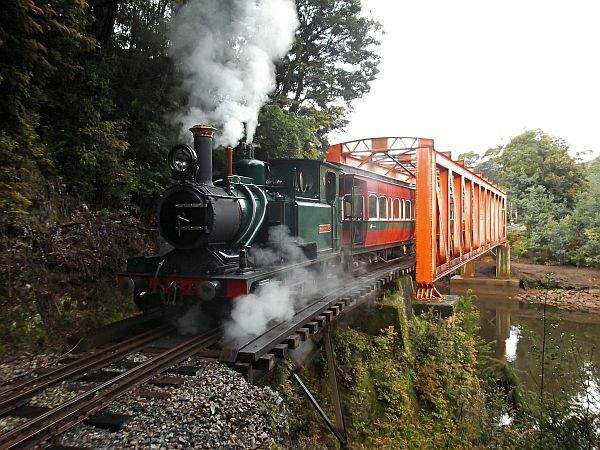 RoamWild Tasmania offer explorations of the region’s industrial heritage. Tours last 2.5 hours and include a tour of the art deco Paragon Theatre in Queenstown. 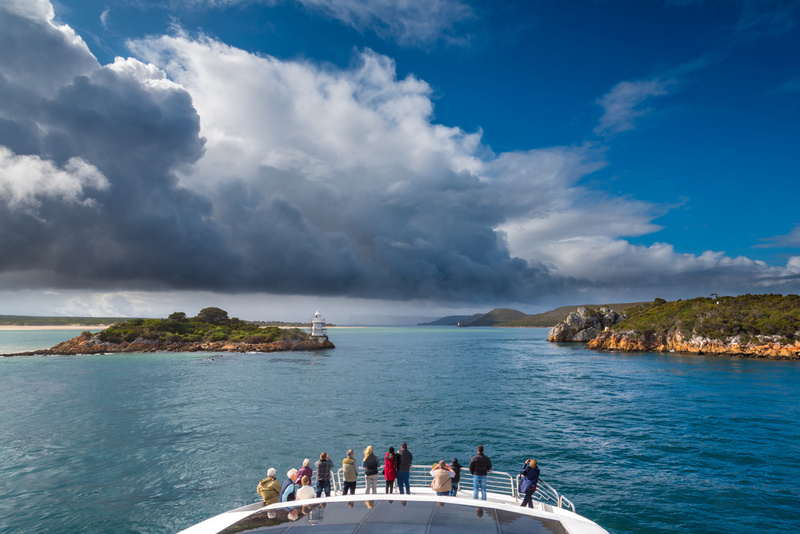 Cruise on Macquarie Harbour and the Gordon River to experience the Tasmanian Wilderness World Heritage Area. Both Gordon River Cruises and World Heritage Cruises operate on the Gordon River into the Franklin-Gordon Wild Rivers National Park. Along the way, step back in time on Sarah Island, the infamous penal settlement that was once the colony’s largest shipbuilding centre (8.30am-3.30pm approx). Cruises are available daily throughout Winter. 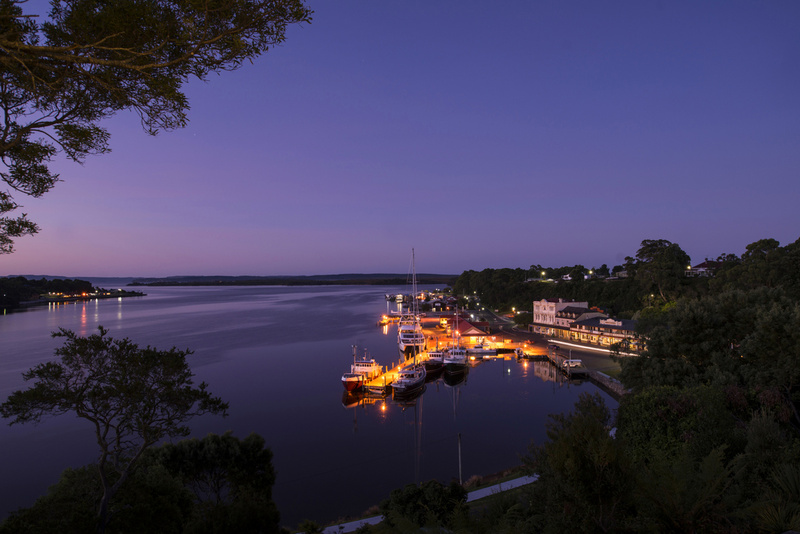 During the afternoon, depending on the weather, explore Strahan’s waterfront, take the short walk to Hogarth Falls, visit a gallery, drive out to Ocean Beach or relax in a café. For the more adventurous, consider exploring the nearby coast with Strahan ATV Adventures (offering tours of the Henty Dunes from June 16th), or call in at the Strahan Visitor Centre (03) 6472 6800 for more information on activities. The Ship That Never Was – The Movie is a recording of the live professional theatre production that is performed nightly in Strahan for nine months of the year. The show tells the dramatic and hilarious true story of the Great Escape from Sarah Island. From June to August, there are no live performances; instead a movie version of the show plays at the Risby Cove Theatrette, Strahan, at 5.30pm daily. See here for details, and book in for dinner after the show. The Nelson Falls are situated approximately 27 kilometres to the west of Queenstown via the Lyell Highway. The falls descend approximately 30 metres. Dress for cool weather (think layers) and make the most of the seasonal beauty of the region. 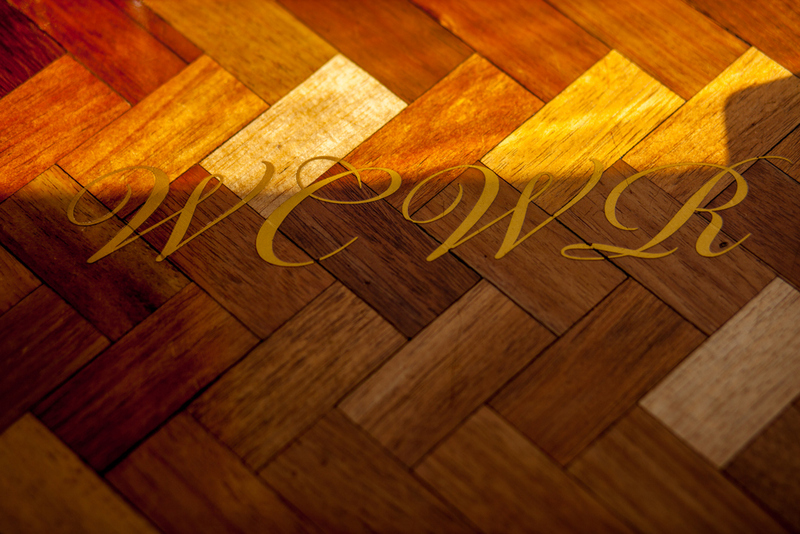 Allow a little extra time and be prepared to be flexible. It is rare for roads to be closed, but occasionally, winter snow and ice do mean that roads are closed for the safety of travellers. It's rarely for more than a few hours or perhaps overnight. Take your time on our winding mountain roads, not only for bends, but also ice and, of course, wildlife. It is often swerving to avoid an animal that can cause an accident, so slow down and be prepared to stop. If you are relying on your mobile phone, check available coverage with your service provider. Mobile coverage is limited in the area, due to both topography and the sparse population. If you are going off road, walking or hiking, take appropriate equipment, make preparations. Always tell someone where you are going, try not to hike alone, sign the national park log books and have an emergency kit with you. As well as the obvious map, compass and plenty of water, carry plenty of clothing layers and waterproofs. Special Discount Offer applies to adult and child tickets travelling between 1 June and 30 September 2019. Use offer code published on promotional channel to book by phone or online. Not available in conjunction with any other offer.